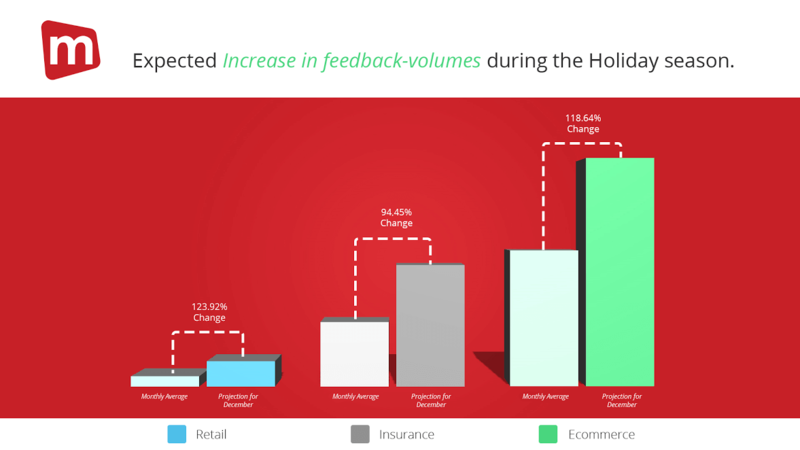 In this blog, we will illustrate the trends in online customer feedback during the holidays, some of the major irritations online customers experience as well as some practical user experience tips to help keep your customers happy this holiday season and for the holidays to come! Mopinion recently conducted a study, calculating the average amount of feedback items per month across several different industries. The volumes for the month of December have skyrocketed (as predicted) as a result of the upcoming holidays. We’ve included the Retail and Ecommerce industries as both of these industries are affected by the holidays, due to the uptick in website traffic and purchases. Additionally, we’ve included the Insurance industry, which because of legal requirements which obligate customers to switch insurers (if desired) prior to February, experience increased website traffic. As you can see from the chart, the biggest increases in volumes are in the Ecommerce industry. A huge reason for this is the increasing popularity of shopping online as well as the upsurge in mobile shopping. Additionally, on ecommerce sites, customers have the ability to provide feedback during or right after purchasing a product, whereas in retail this is generally not the case. 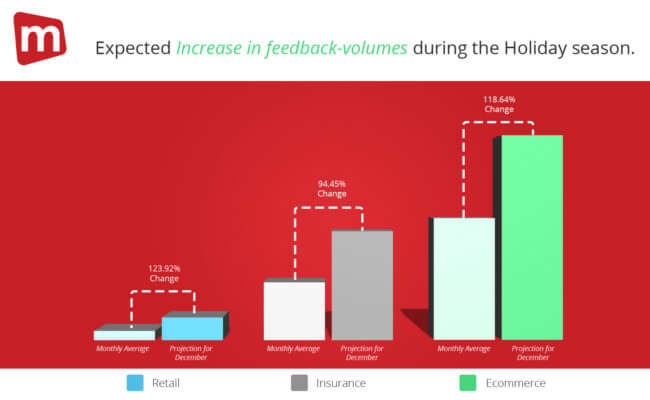 With these high volumes of online customer feedback, there are bound to be some irritations or bottlenecks that surface within the online journey. So let’s take a look at a few of the frustrations your customers might be experiencing. In a previous blog post, we identified the major online irritations that customers experience, based on customer feedback collected from our clients. What we found here was that in terms of volume, the most frequent issues included login issues, problems with the online processes and “page not found” errors. However, when you combine these issues with the element of sentiment analysis, the top three issues shift to bug reports, “My Account cannot be found” and problems with online processes. So how can you keep these particular pain points to a minimum during the hustle bustle of the holiday season? By listening to your customers, of course! Now let’s take a closer look at a few of these issues. Bug reports may have ranked lower in terms of volume but that doesn’t mean they’re not deterring your customers. Bugs were this year’s largest irritation-inducing issue. 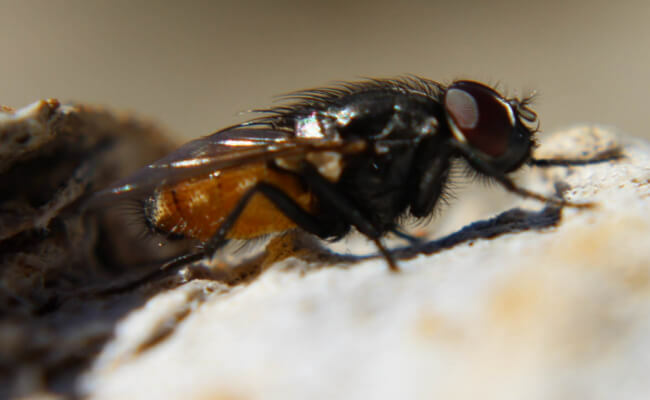 And while there are a number of tools out there that can be used to scan and test your website for these bugs, such as Bug Finders, there’s still a big chance they will crop up again in the future. Although it isn’t ideal, your customers are typically the first ones to detect bugs. But don’t look at this as a sign of failure. Let your customers be your beacon. Yeah that’s right, your “bug beacon”! In other words, give them the opportunity to report any bugs they come across using online feedback forms. Log in issues are still very prevalent among online customers. These may not seem like a big deal but even these small issues can equate to a negative experience. There are a number of tricks you can use to improve the login process. Use email addresses as a username: This is a strategy that is becoming much more popular among websites. Think about it. An email address is much easier to remember than a username isn’t it? Especially when websites require you (as a user) to use a specific number of characters, numbers and/or symbols. Or try giving both options to your users. Social login: Alternatively, there is Social login. With the rise of social media, this is very popular among users nowadays. It saves a lot of time and doesn’t force your visitors into making a new account. 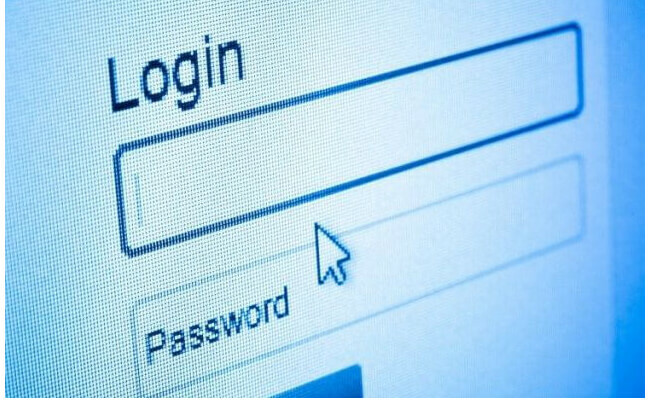 On top of that, a study conducted by Janrain and Blue Research found that “77 percent of consumers favoured social login as a means of authentication over more traditional online registration methods”. Password requirements should be secure but not over the top: According to a study by Nielsen Norman Group, the complexity of a password does not necessarily constitute improved security. Password recovery should be an easy process: Nearly 55% of online consumers leave a website because they’ve forgotten their password or username. This is often a huge obstacle for customers as well as a frustrating one so be sure to have a simple and effective password recovery process in place. Getting stuck in online processes was a common feedback issue this year. It was also associated with a more negative sentiment. There are plenty of ways for your customers to get stuck somewhere on your website, whether that is on your support page or within a specific online tool such as car configurators, insurance calculators or even postal code checks. What’s important to realise here is that capturing customer feedback in these particular online processes is the key to NOT losing these customers to your competitors. So how can you do this? Give your customers the opportunity to provide feedback in real-time. Real-time customer feedback is a particularly valuable tool in that you have direct insight into the problems your customers are experiencing on your website or app, meaning you can act right away. Especially with all those last-minute holiday shoppers out there who want to buy fast. The most important takeaway here is to keep optimising your website and keep your customers happy! Online customer feedback is a great way to keep you and your team up-to-date with any issues that surface, especially during the holiday season. For more tips on improving user experience, check out our blog post on 7 user experience quick-wins to improve your website. What is website feedback analytics?